A Truly Fantastic PGA Tour Experience Awaits You in Branson, Missouri! One of Branson’s most cherished annual events is the Bass Pro Shops Legends of Golf Tournament, where golf enthusiasts of all playing abilities (including none at all) can indulge themselves in witnessing renowned PGA Tour golfers and champions battle it out on the course. With the gorgeous natural backdrop of the Ozark Mountains highlighting the beauty of this setting and the challenging nature of the course at Top of the Rock, visitors to Branson would be remiss to skip out on this excellent opportunity to enjoy some high-quality outdoor entertainment. Held in April each year, the tournament takes place at Big Cedar Lodge—home of the famous Par-3 golf course known as Top of the Rock. In 2018, visitors can plan on attending the Bass Pro Shops Legends of Golf Tournament from April 16th through April 22nd. While the 2018 schedule has not been confirmed yet beyond its scheduled dates, the gates at Buffalo Ridge and Top of the Rock generally open around 7:30am each year, with playing starting at 8:30am. 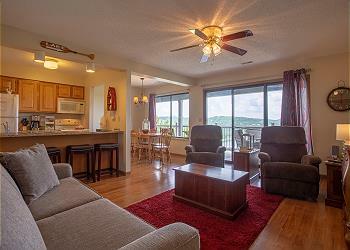 Book Your Stay in Branson Today with Sunset Nightly Rentals! Contact our reservations team to find out more information about the Bass Pro Shops Legends of Golf Tournament and other neat events, activities, and attractions that you can experience in Branson when you reserve your trip in one of the lovely vacation rental properties that are available through Sunset Nightly Rentals!